There are many ways you can use to grow cannabis. All of them are broadly classified into two groups. You can choose to grow cannabis indoors or you can grow cannabis outside. An outdoor cannabis garden is always the best option if conditions allow. However, there are challenges that are associated with outdoor cannabis gardens, especially pests and rodents. Gophers and moles are rodents you will have to deal with from time to time. The problem with these rodents is that they will ruin your yield. What you need to know is how to tell the difference between the two, and how to get rid of them. First, you must realize that there might be a benefit to your weed garden, to have moles present. 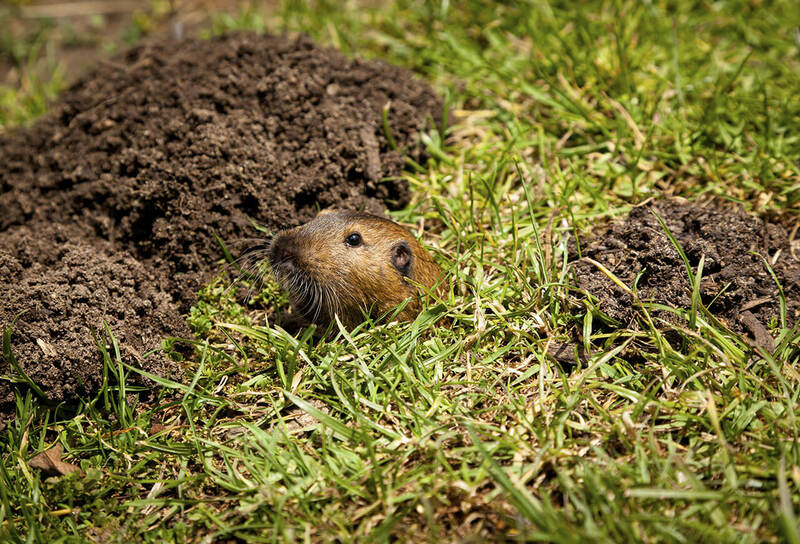 Moles don’t present as much a challenge to your garden as gophers do. Moles actually burrow into the soil, keeping it loose and rich in nutrients. Perhaps the challenge you might experience with moles is that in the course of burrowing into the soil, they can tamper with the roots. Besides that, they are good for your garden. Gophers, on the other hand, are a menace. Gophers eat the roots of your cannabis plant, and at times they even eat the entire plant. They look like rats but have longer teeth. While moles often burrow into the soil looking for insects, gophers eat plants. Gophers are relatively bigger than moles and can be as big as 46 centimeters long, while moles, on the other hand, can only grow to 18 centimeters. Moles tend to almost always have their eyes closed, look like otters and their paws look like tiny shovels. Gophers, on the other hand, look like rats, but they’re relatively larger in size. Having looked at the difference between these two, how do you know which one of them has inhabited your plantation? If you happen to come across any of them running around the plantation, you should be able to tell the difference from their physical attributes. If that’s not the case, you can also tell from the aftermath. Look at the mounds that they form when burrowing into the ground. If the mound looks like a volcano, with a cone-like shape and a hole at the top, you have a mole problem. If the mound is round, probably flat on the top, but it has an angled hole on the side, you have a gopher problem. You can also look at the damage to your plants to tell whether you’re dealing with a gopher or mole problem. More often, moles don’t damage the plants. They might perhaps damage the roots if the roots are in their path as they burrow into the ground. Gophers, on the other hand, chew the roots. They might even chew the entire plant away. If you notice that some of your plants have disappeared down the ground, you have a serious gopher problem. How do you deal with these rodents? Well, you can choose from a number of alternatives, including having a cat or a few cats roam free in your weed garden, planting things like toxic oleanders, using traps, alliums to repel gophers, garlic water, castor oil or using hardware cloth to line the garden.